There is a great sale going on at Cuts of Cotton. If you are low on yellow, now’s a good time to fill in your fabric stash. Every month they offer a nice discount on a color. Today through Monday, they are offering a 15% discount on all yellow fabrics, which is a great deal. Go to http://www.cutsofcotton.com/blogs/blog or click their button on the right side of this blog. 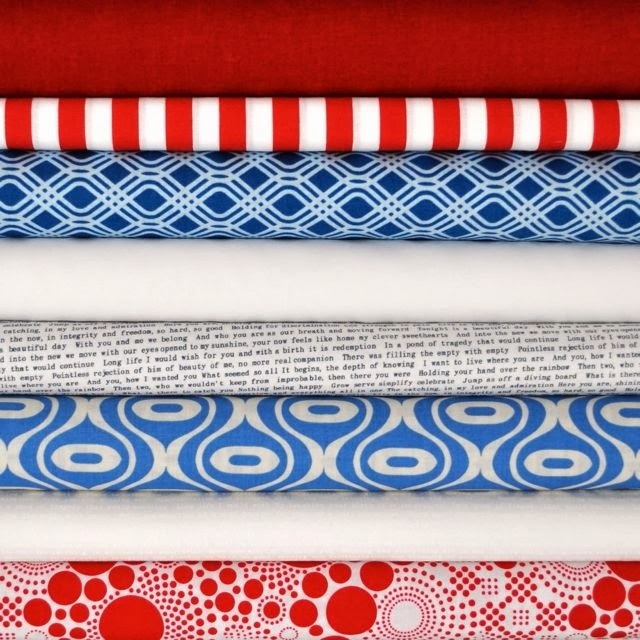 Additionally, to celebrate Veteran’s Day, my sponsor, Cuts of Cotton is offering this Patriotic Bundle of beautiful fabrics. In order to win, please leave a comment in the comments box, telling me what your favorite color is, and your e-mail address so i can contact the winner. Give-a-Way ends at midnight on Tuesday, November 12. Have a great weekend. Good luck with the give-a-way. And please take some time to think about those who serve, and their families. It means so much to them, and we need to let them know we are grateful for the freedoms they help to protect. Let's be Social at Sew Fresh Quilts. WIP Wednesdays at Freshly Pieced.